TOKYO -- General Motors is checking whether its cars contain falsely certified parts or components sourced from Kobe Steel, the latest major automaker to be dragged into the widening scandal. "General Motors is aware of the reports of material deviation in Kobe Steel copper and aluminum products," spokesman Nick Richards said. "We are investigating any potential impact and do not have any additional comments at this time"
GM joins automakers including Toyota, Nissan, Honda and as many as 200 other companies that have received parts sourced from Kobe Steel. The steelmaker admitted during the weekend that it had falsified data about the quality of aluminum and copper products used in cars, aircraft, space rockets and defense equipment. Kobe Steel CEO Hiroya Kawasaki said on Thursday the company's data-fabrication may have spread beyond Japan. The company has found possible further cases of tampering, he said, including in overseas operations. 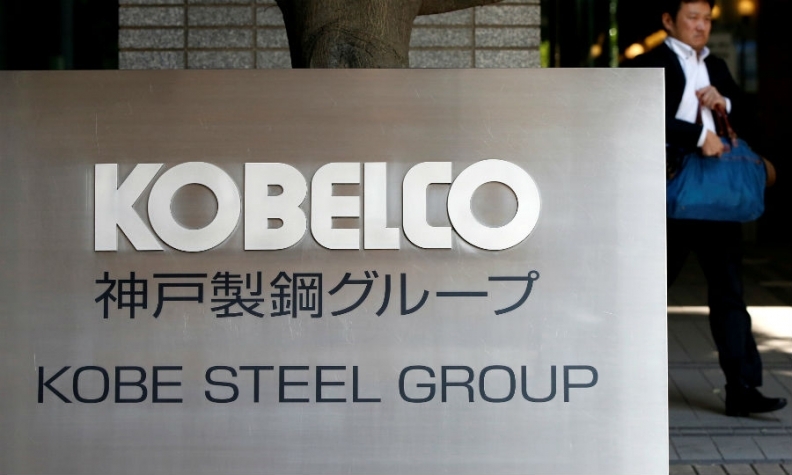 Late on Wednesday, Kobe Steel said it had found 70 cases of tampering with data on materials used in optical disks and liquid crystal displays at its Kobelco Research Institute, which makes and tests products for the company. It also found one case of falsified data on iron powder products -- material used for car parts such as gears -- that were shipped to a customer. The company has said it was examining possible data falsification going back 10 years. Toyota earlier this week said Kobe Steel materials have been used in hoods, rear doors and peripheral areas. The materials were supplied to plants in Japan and factories elsewhere were not affected, Toyota said. Nissan said Kobe materials are used in parts such as hoods and may affect protection of pedestrians. Honda said it used the materials in question for doors and hoods of its cars. Kobe Steel's corrosive business practices have raised broader questions over corporate governance in Japan, and cast doubt on the integrity of a manufacturing industry once the envy of the world. Previous cases in Japan involving falsified data included Nissan Motor, Mitsubishi Motors and Takata, which filed for bankruptcy this year over faulty airbags that were blamed for 17 deaths and scores of injuries. Japan's Ministry of Economy, Trade and Industry ordered Kobe Steel to report on the results of safety checks within about two weeks and the reasons for the tampering, along with prevention measures in under a month. Shares in Kobe Steel stabilized on Thursday after investors, worried about the financial impact and potential legal fallout, wiped about $1.6 billion off its market value in two days.